The native form of this personal name is Kocsis Sándor. This article uses Western name order when mentioning individuals. Sándor Péter Kocsis (Hungarian pronunciation: [ˈʃaːndor ˈpeːtɛr ˈkot͡ʃiʃ] ; 21 September 1929 – 22 July 1979) was a Hungarian footballer who played for Ferencváros TC, Budapest Honvéd, Young Fellows Zürich, FC Barcelona and Hungary as a striker. During the 1950s, along with Ferenc Puskás, Zoltán Czibor, József Bozsik and Nándor Hidegkuti, he was a member of the Mighty Magyars. After the 1956 Hungarian Revolution, he moved to Spain where he became a member of the FC Barcelona team of the late 1950s. Budapest Honvéd FC (Hungarian pronunciation: [ˈbudɒpɛʃt ˈhonveːd ˈɛft͡seː] is a Hungarian sports club based in Kispest, Budapest with colours red-black. The club is best known for its football team. Honved means the Homeland Defence. Originally formed as Kispest AC, they became Kispest FC in 1926 before reverting to their original name in 1944. The team enjoyed a golden age during the 1950s when it was renamed Budapesti Honvéd SE and became the Hungarian Army team. The club's top players from this era, Ferenc Puskás, Sándor Kocsis, József Bozsik, Zoltán Czibor, and Gyula Grosics formed the nucleus of the legendary Hungarian team known as the Mighty Magyars and helped the club win the Hungarian League four times during the 1950s. During the 1980s and early 1990s the club enjoyed another successful period, winning a further eight Hungarian League titles. They also won league and cup doubles in 1985 and 1989. In 1991 the club was renamed Kispest Honvéd FC and adopted its current name in 2003. Sportclub Young Fellows Juventus is a professional Swiss football club based in Zürich. It was founded in 1992 following a merger between Young Fellows Zürich and Società Calcistica Italiana Juventus Zurigo (1922). Kocsis was a prolific goalscorer for both Budapest Honvéd and Hungary. While playing for Honvéd, he was the top goal scorer in any European league in both 1952 and 1954. He also scored 75 goals in 68 appearances for Hungary – a 1.10 goal/game average at the game's highest level. Kocsis was the top goal scorer in the 1954 World Cup with 11 goals, being the first player to score two hat tricks in a World Cup. His 2.2 goal/game average in the World Cup finals is second only to that of Ernst Wilimowski who scored four goals in his only World Cup match,  and only Just Fontaine has scored more goals than Kocsis in a single World Cup. Kocsis was particularly known for scoring headers. The Hungary national football team represents Hungary in international football and is controlled by the Hungarian Football Federation. The 1954 FIFA World Cup, the fifth staging of the FIFA World Cup, was held in Switzerland from 16 June to 4 July. Switzerland was chosen as hosts in July 1946. 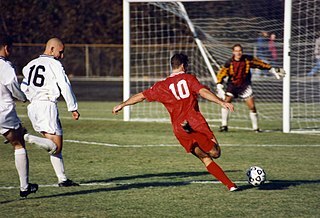 The tournament set a number of all-time records for goal-scoring, including the highest average number of goals scored per game. The tournament was won by West Germany, who defeated Hungary 3–2 in the final, giving them their first title. Ernest Willimowski was a German–Polish football player, who played as a forward. He ranks among the best goalscorers in the history of both the Poland national team and Polish club football. After re-taking German citizenship, he also played for the Germany national team. His 1.103 goals/game average is ranked No.1 for players past 43 caps in FIFA class-A competition, closely followed by Gerd Müller with 1.097 goals/game (68 scores in 62 games), and are the only two players in history above a +1.0 goals/game average encompassing more than 43 internationals. Ferenc Puskás with .99 goals/game (84 goals in 85 matches) is currently ranked 3rd. The Fédération Internationale de Football Association is an organization which describes itself as an international governing body of association football, fútsal, beach soccer, and eFootball. FIFA is responsible for the organization of football's major international tournaments, notably the World Cup which commenced in 1930 and the Women's World Cup which commenced in 1991. Gerhard "Gerd" Müller is a German retired footballer. A prolific striker renowned for his clinical finishing, especially in and around the six-yard box, he is regarded as one of the greatest players and goalscorers of all time. Kocsis was born in Budapest. He began his career as a junior with Kőbányai TC before joining Ferencváros TC where he won his first Hungarian League title in 1949. He was then conscripted into the army and joined the army club, Honvéd. His team mates at Honvéd included Ferenc Puskás, Zoltán Czibor and József Bozsik. During his time at the club he won three more Hungarian League titles in 1952, 1954 and 1955. He finished as top goalscorer in the league on three occasions in 1951, 1952 and 1954 scoring 30, 36 and 33 goals respectively. On the latter two occasions he was also the top goalscorer in any European league. 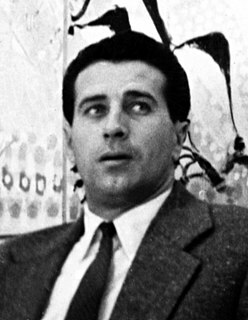 Ferenc Puskás was a Hungarian footballer and manager, widely regarded as one of the greatest players of all time and he is the son of former footballer Ferenc Puskás Senior. A prolific forward, he scored 84 goals in 85 international matches for Hungary, and 514 goals in 529 matches in the Hungarian and Spanish leagues. He became an Olympic champion in 1952 and led his nation to the final of the 1954 World Cup where he was named the tournament's best player. He won three European Cups, 10 national championships and 8 top individual scoring honors. In 1995, he was recognized as the top scorer of the 20th century by the IFFHS. Zoltán Czibor was a Hungarian footballer who played for several Hungarian clubs, including Ferencváros TC and Honvéd, and Hungary before joining CF Barcelona. Czibor played as a left-winger or striker and was notable for having a powerful shot, good pace and excellent ball control. During the 1950s he was part of the Magical Magyars. After the 1956 Hungarian Revolution he moved to Spain where he became a prominent member of the successful FC Barcelona team of the late 1950s. After three seasons at Barcelona, he joined their local rivals Español for the 1961/62 season. After brief spells at FC Basel, FK Austria Wien and Primo Hamilton FC, he retired as a professional footballer and returned to Hungary. He died there in 1997, aged 68. József Bozsik was a Hungarian footballer who played as a midfielder. He spent his entire club career at his hometown club, Budapest Honvéd. Bozsik was a key member of the legendary Mighty Magyars as he represented Hungary in various international tournaments. During the 1952 season at Honvéd, Kocsis was the world's top goalscorer in world 1st division football with 36 goals. He repeated that feat in 1954 with 33 goals. Kocsis made his debut for the senior Hungary team in 1948. Together with Ferenc Puskás, Zoltán Czibor, József Bozsik and Nándor Hidegkuti, he formed the offensive nucleus of the Golden Team that went unbeaten for 32 consecutive games. The Hungarian national team suffered no defeats in Class-A international matches between 4 June 1950 and 4 July 1954, in the 1954 FIFA World Cup Final. Nándor Hidegkuti was a Hungarian football player and manager. He played as a forward or attacking midfielder and spent the majority of his playing career at MTK Hungária FC. During the 1950s he was also a key member of the Hungarian National Team team known as the Golden Team. Other members of the team included Ferenc Puskás, Zoltán Czibor, Sándor Kocsis and József Bozsik. In 1953, playing as a deep lying centre-forward, he scored a hat-trick for Hungary when they beat England 6–3 at Wembley Stadium. Playing from deep, Hidegkuti was able to distribute the ball to the other attackers and cause considerable confusion to defenses. This was an innovation at the time and revolutionised the way the game was played. Kocsis scored his first international hat trick in a game against Sweden on 20 November 1949, and he scored a further one on 22 June 1952 against Finland. Kocsis also scored six goals at the Olympics in Helsinki as Hungary became Olympic Champions in 1952. On 19 October 1952, he scored his third international hat trick in a game against Czechoslovakia. In 1953, Hungary defeated England 6–3 at Wembley Stadium and then in 1954 by 7–1 in Budapest. During the latter game, Kocsis added a further two goals. In 1953 Hungary also won the Central European International Cup. He finished the 1954 World Cup as top goalscorer, scoring 11 goals including two hat tricks. In the opening game he scored his first hat trick of the tournament against South Korea as Hungary cruised to a 9–0 win. In the next game against Germany, he went one further and scored four of the goals in an 8–3 win against the understrength team of coach Sepp Herberger. In the quarter-finals Hungary played Brazil in a game referred to as the Battle of Berne : Kocsis scored twice in an encounter which saw Hungary win 4–2. Hungary then reached the final after they defeated reigning World champions Uruguay in the semi-finals. The game was 2–2 in extra time until Kocsis scored twice to seal another 4–2 win. In the final they met Germany once again. However, for the first time in the competition Kocsis failed to score and the Germans won 3–2. On 24 October 1954, he scored his sixth international hat trick and second against Czechoslovakia. He completed his seventh and last hat trick for Hungary on 5 November 1955 in a game against the same opponents, Sweden, that he had scored his first. In 1956 Honvéd entered the European Cup and in the first round they were drawn against Athletic Bilbao. Honvéd lost the away leg 2–3, but before the home leg could be played, the Hungarian Revolution had erupted back in Budapest. The players decided against going back to Hungary and arranged for the return with Athletic to be played at the Heysel Stadium in Brussels. Despite drawing 3–3 they went out on 6–5 on aggregate. Elimination left Honvéd in limbo. The players summoned their families from Budapest and, despite opposition from FIFA and the Hungarian football authorities, they organised a fundraising tour of Italy, Portugal, Spain and Brazil. After returning to Europe, the players parted ways. Some, including Bozsik, returned to Hungary while others, including Czibor, Kocsis and Puskás, found new clubs in Western Europe. Kocsis spent one season with Young Fellows Zürich before another Hungarian refugee, László Kubala, persuaded him and Zoltán Czibor to join him at FC Barcelona where he became a vital member of the team. He subsequently scored on his La Liga debut in a 4–1 win over Real Betis and as part of a team that also included Ramallets, Evaristo and Luis Suárez, Kocsis won a Copa del Generalísimo/La Liga double in 1959 and a La Liga/Fairs Cup double in 1960. FC Barcelona also reached the final of the European Cup in 1961 and this saw Czibor and Kocsis return to the Wankdorf Stadium in Bern, where in 1954, while playing for Hungary, they had lost the World Cup Final. Despite both of them scoring, they finished on the losing side once again. They also lost by the same 3–2 score again, this time to S.L. Benfica. He scored twice in the 1959 Copa del Generalísimo final as FC Barcelona defeated Granada CF 4–1. In the 1960 European Cup he scored four of the goals in a 5–2 quarter-final win over Wolves. He also scored a hat trick against Real Sociedad in a La Liga game in 1961 and scored all three goals in the 1962 Fairs Cup final that they lost to Valencia CF 7–3 on aggregate. In 1961, he also played as a guest for Valencia CF and helped them win their own summer trophy, the Trofeo Naranja. He scored in both games as Valencia beat Botafogo and FC Barcelona. Kocsis also scored in the 1963 Copa del Generalísimo final held at the Camp Nou. FC Barcelona beat Real Zaragoza 3–1. László Kubala Stecz, also referred to as Ladislav Kubala or Ladislao Kubala, was a professional footballer, regarded as one of the best players in history; he is considered a symbol of Barcelona. He played as a forward for, among other clubs, Ferencváros, Slovan Bratislava, Barcelona, and Espanyol. A Hungarian national by birth, he also held Czechoslovak and Spanish citizenship, and played for the national teams of all three countries. Gusztáv Sebes was a Hungarian footballer and coach. With the title of Deputy Minister of Sport, he coached the Hungarian team known as the Mighty Magyars in the 1950s. Among the players in the team were Ferenc Puskás, Zoltán Czibor, Sándor Kocsis, József Bozsik, and Nándor Hidegkuti. Together with Béla Guttmann and Márton Bukovi, he formed a triumvirate of radical Hungarian coaches who pioneered the 4-2-4 formation. The Golden Team refers to the Hungary national football team of the 1950s. It is associated with several notable matches, including the "Match of the Century" against England in 1953, and the quarter-final against Brazil, semi-final and final of the 1954 FIFA World Cup. The team inflicted notable defeats on then-footballing world powers England, Uruguay and the Soviet Union, before the 1956 Hungarian Revolution caused the breakup of the side. Gyula Lóránt, born as Gyula Lipovics, was a Hungarian footballer and manager of Croatian descent. He played as a defender and midfielder for, among others, UTA Arad, Vasas SC, Honvéd and Hungary. László Budai, also known as László Bednarik, or Budai II, was a former Hungarian footballer and coach. Budai was born in Budapest and played as a midfielder and forward for Ferencvárosi TC, Honvéd and Hungary. During the 1950s he was a member of the legendary Hungarian national team known as the Mighty Magyars. Other members of the team included Ferenc Puskás, Zoltán Czibor, Sándor Kocsis, József Bozsik and Nándor Hidegkuti. The stadium of Rákospalotai EAC was named after him. Mihály Lantos, also known as Mihály Lendenmayer, was a Hungarian footballer and manager. He played as a defender, spending the majority of his career at MTK Hungária FC. During the 1950s he was also a member of the Hungary team known as the Mighty Magyars. Other members of the team included Nándor Hidegkuti, Ferenc Puskás, Zoltán Czibor, Sándor Kocsis and József Bozsik. After retiring as a player Lantos worked as coach. Between 1965 and 1967 he was assistant coach to his former MTK manager, Márton Bukovi, at Olympiacos. He then returned to Hungary where he managed several teams including Videoton FC. Péter Palotás, born as Péter Poteleczky, was a Hungarian footballer who played as a forward for MTK Budapest FC and Hungary. During the 1950s he was a fringe member of the team known as the Mighty Magyars and played alongside the likes of Ferenc Puskás, Zoltán Czibor, Sándor Kocsis, Nándor Hidegkuti and József Bozsik. Palotás was an early pioneer of the deep lying centre-forward role and in 1955 he scored the first ever hat-trick in a European Cup game. In 1959 he retired as a player due to a heart condition. The same condition led to his death on 17 May 1967. József Zakariás was a Hungarian footballer and manager. During the 1950s he was a member of the legendary Hungary team known as the Mighty Magyars. Other members of the team included Nándor Hidegkuti, Ferenc Puskás, Zoltán Czibor, Sándor Kocsis and József Bozsik. Jenő Kalmár, also referred to as János Kalmar or Kálmár Jenő, is a former Hungarian footballer and coach. As a player, Kalmar played for both MTK Hungária FC and Hungary. During the 1928-29 season he finished as top goalscorer for MTK, scoring 20 goals. Football is the most popular sport in Hungary. The Hungarian Football Federation is the highest body of professional football in Hungary and was founded in 1901. The Hungarian national team has played numerous international tournaments, including the first football tournament in the Olympic Games. greatest achievement are the three gold medals in the 1952, 1964 and 1968 Olympic Games, and the runner-up in the 1938 and 1954 World Cups. The team known as the Mighty Magyars was also the first non-British team to defeat England, 6-3 at Wembley in 1953. Months later, they defeated the English by a convincing 7-1 in Budapest in 1954, the worst defeat in the history of the English team. Hungary v England (1954) was an international football game played on 23 May 1954. The game was played between the Hungary national football team—then the world's number one ranked team and the Olympic champions—and the England national football team, hailing from the birthplace of the game of football. The game was a return fixture from the 1953 game in the old Wembley Stadium, where Hungary had beaten England 6–3. Wolverhampton Wanderers F.C. v Budapest Honvéd FC was an association football match that took place on 13 December 1954, and was instrumental in the eventual formation of the European Cup. The match was played under floodlights, and was broadcast live on BBC television. Budapest Honvéd Football Club is a professional football club based in Budapest, Hungary. ↑ "Statistics and Records - FIFA World Cup™ - Players". FIFA.com. Retrieved 31 August 2018. ↑ "Wall of Fame: Sándor Kocsis". Infostrada Sports. Archived from the original on 1 February 2009. Retrieved 10 July 2016. ↑ "Sándor Kocsis". National Football Teams. Benjamin Strack-Zimmerman.